"If you educate a man, you educate an individual; however if you educate a Woman, you educate the whole family. Women empowered means Mother India empowered". Education is pivotal in any Women Empowerment Programme and Theivanai Ammal College for Women in its 27 years of service has taken up this crucial role in the region. 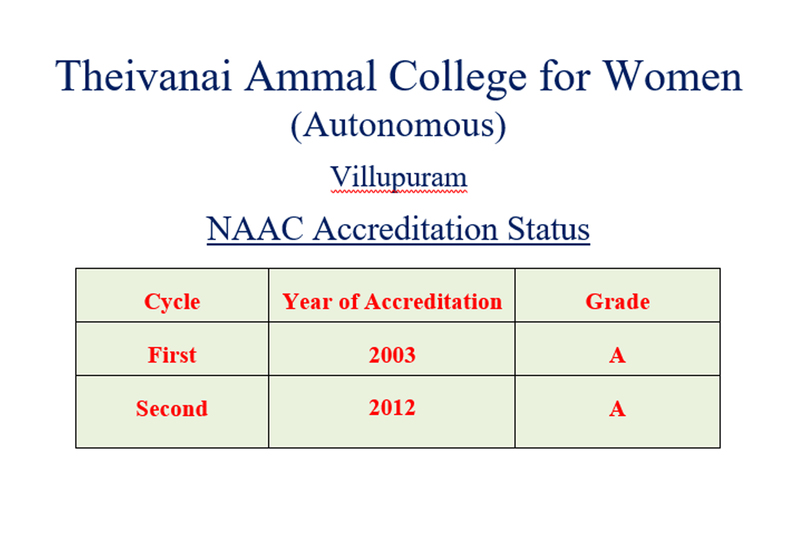 The autonomous institution is the only college in Villupuram district Re-Accredited by NAAC with ‘A’ Grade. 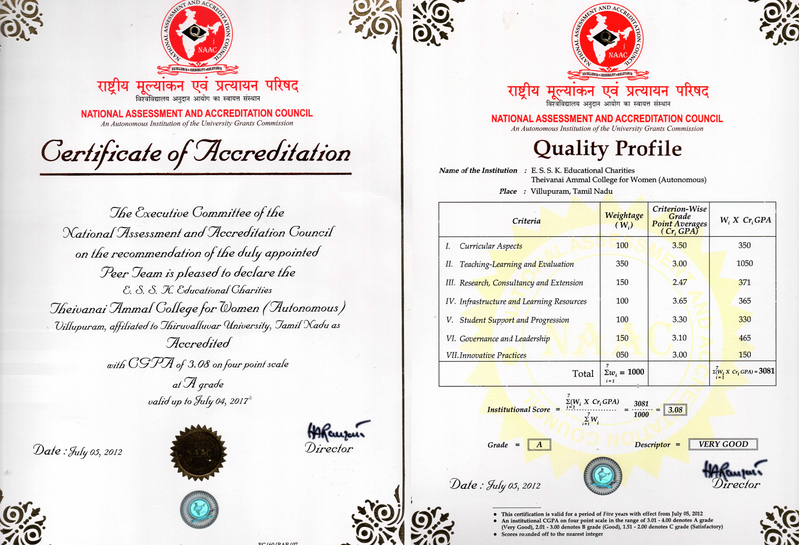 It is an ISO Certified Institution equipped with all the modern facilities, well maintained Computer Labs, Science Labs, Auditorium, Seminar Hall, Internet Facilities, Adequately stocked Library and lush green campus. 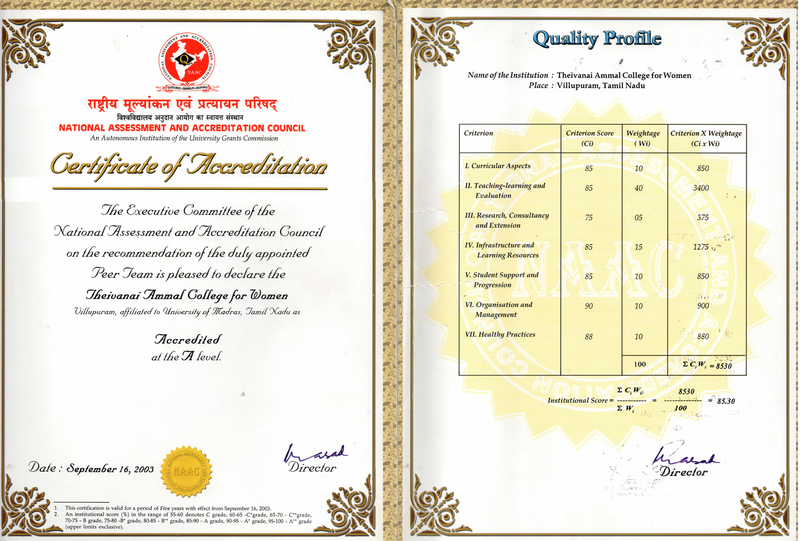 Our college aims to be a benchmark Institution in Women Empowerment where the standard of women is improved with respect to education, health and economic opportunities. Our Institution through quality higher education seeks to evolve empowered women who are strong and ready to take up the challenges for building up of the Family, Society and Nation. "I wish the students, All the very best and welcome all to our campus"